Today I had a little gap of time and decided to see the indie film Christine, and I’m glad I did. 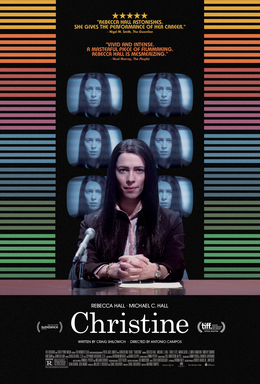 This is a film by Antonio Campos about the real life story of Christine Chubbuck who committed suicide on live news television. As you might guess this is a pretty grim, tragic film and I appreciate that writer Craig Shilowich did not add an ounce of sentimentality to the events of Christine. There is no soaring music as we get to the inevitable event and we are not emotionally manipulated in any way. 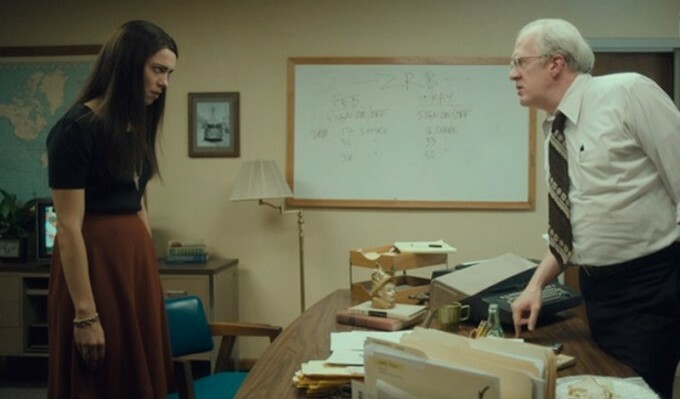 The most interesting thing about Christine, played by Rebecca Hall, is she’s at once sympathetic and unlikable at the same time. There is nothing cloying or patronizing about the way her mental illness is depicted here. Often she wants to do do good things but she struggles to convey those desires in ways that others can accept. She’s not surrounded by jerk-offs like you might expect. Quite the contrary. Pretty much everyone is trying to love Christine in the ways they know how. It’s difficult because she is very tough to love. As a reporter Christine struggles with the idea of writing ‘juicier stories’. She wants to interview strawberry pickers and happy couples but they aren’t the stories that sell. Oddly enough she fantasizes about interviewing Richard Nixon but then most of her pieces are kind of fluffy feeling. She buys a police scanner and follows a fire but then does a fairly conventional story on the man who lights the fire. I completely saw where her boss was coming from on that one. Many try to reach out to Christine but it all feeds her mania more than stopping it. One example is her office crush George, played by Michael C Hall, who she thinks is taking her on a date but it actually a Scientology like therapy session. He’s not trying to be mean. He’s genuinely trying to be helpful but it is one more shame she has to deal with in her life. Christine’s mother played by J Smith-Cameron was very good because Christine wants to be mothered as a little girl but also wants them to be equals as adults. She’s also very critical of all of her Mother’s choices including who she dates and how she lives her life. On the other hand, her Mother knows Christine’s mental health history and can tell something bad is coming. 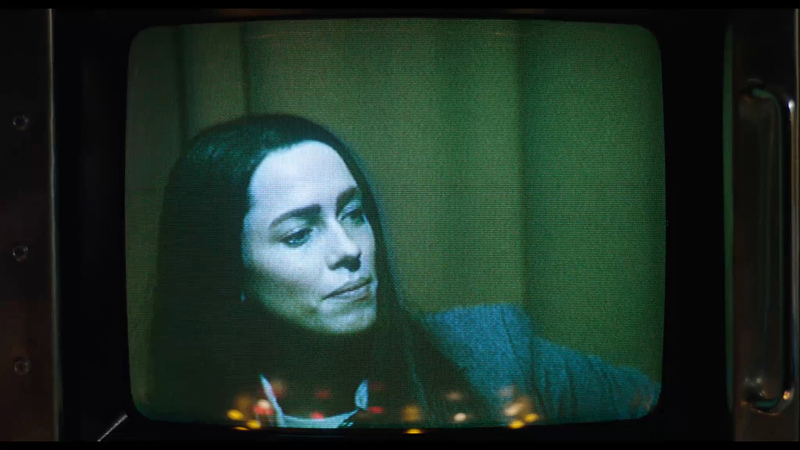 All of those character aspects really work in Christine. Also you get a great sense of the 1970s in both the music and production design. Especially in the last hour tension is built like a ticking time bomb inside Christine’s head ready to explode. I’ve dealt with anxiety and I really thought they captured that feeling without being patronizing or annoying. The one flaw with the movie is it could try to teach a small lesson. It does leave the viewer kind of empty. I don’t need much preaching but just a moment maybe at a funeral or something to think about her life and how we can do better might have been nice. Also, the first hour could have been a little bit tighter. There were a few sequences when she is working at the newsroom where I grew bored and started to yawn. However, once the second hour starts it really becomes compelling stuff leading up to the suicide. This is an extremely mild R rating with just a handful of F words said by Christine’s boss. I definitely think it is worth seeing as a cautionary tale for those of us deal with and live with friends with mental illness. We all need to be aware of these diseases and reach out to folks in the right kind of ways. 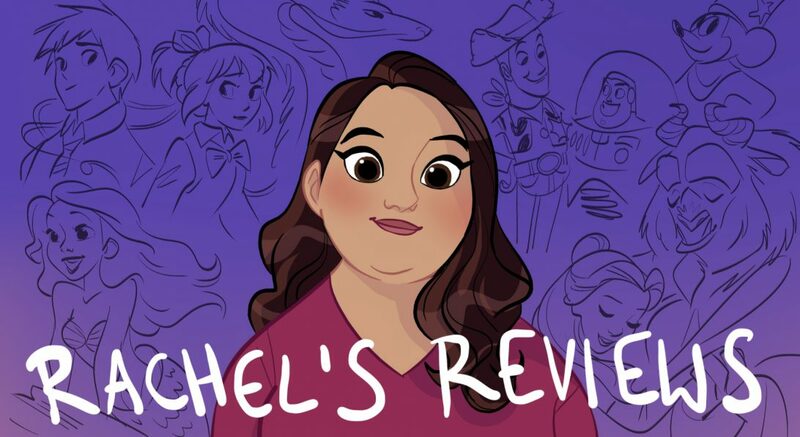 I’m glad someone made a film about her and she does seem to be a character that could be a bit unlikable like the guy that “Flash of Genius” was based on. Do you think Hall will get a Best Actress nomination?